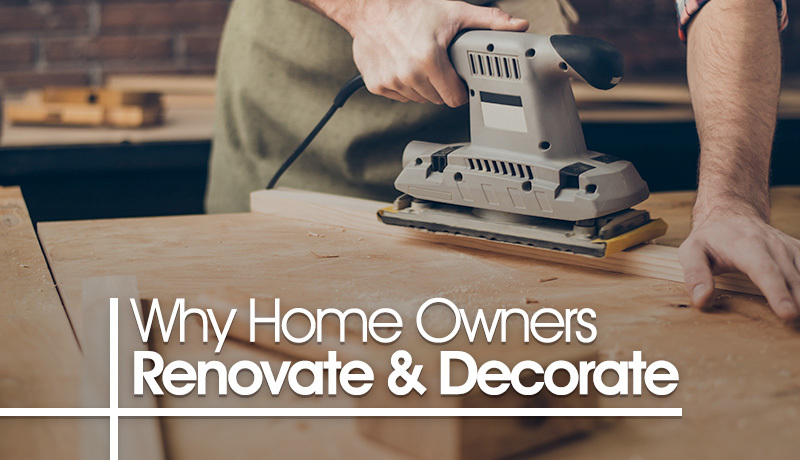 Under Half of home owners believe their decorating and renovating efforts will increase the value of their property by between $20,000 and $100,000. Over half of property owners were simply looking to maintain and update their properties. Where to start with renovating to sell? While TV shows like The Block or Love It or List It make renovating properties for profit look easy, which areas of a home should an owner tackle first? Doing up the bathroom or kitchen is often a good place to start. Most certainly the bathroom and kitchen are key areas to focus on, as long as they are renovated within budget. However, the homeowner must know their numbers on their house so that they don’t over capitalise by spending too much money. Improving the outdoor area is definitely important when selling a property. Spending some well-earned cash on your front yard has been known to bring upwards of $20,000 just by making some simple and low-cost improvements. Clean down all paths and driveways with a gurney. Use paving paint to create a fresh, new look without having to spend too much money. A good garden layout with a well maintained lawn will give potential buyers the best possible first impression. However on the whole, when renovating to sell, it is best to not focus too hard on just one particular area. Half finished homes are often bought under value. Because the value of a home is based on the entire home, not just one part. People pick out faults, that’s how the price of a home gets talked down. So if you only attend to just one part of the house you run the risk of actually losing money. Many homeowners overlook repairs. Tackling repairs is actually one of the easiest and most affordable ways to ensure your home is ready for sale. By far the biggest problem often seen, is unresolved repairs. This seems like a logical step and yet it is very often the one thing people overlook. So fix that broken tile; mend the fence; attend to that dripping tap! Likewise, a good paint job can update a tired looking property. There is nothing like a good quality paint job to appeal to even the most discerning buyers. Paint is the best cosmetic improvement you will make.